Thugs of Hindostan is a Bollywood epic action-adventure movie, written and directed by Vijay Krishna Acharya, produced by Aditya Chopra under his banner Yash Raj Films. The film stars Amitabh Bachchan, Aamir Khan, Katrina Kaif, Fatima Sana Shaikh and Lloyd Owen in leading roles. 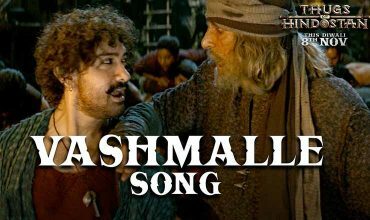 Music tracks are composed by Ajay-Atul with background score by John Stewart Eduri and songs were written by Amitabh Bhattacharya. Music label YRF Music.